Looking for a solution to meet your business needs? 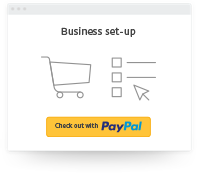 With just one PayPal Business account, there are many different ways for you to get paid by millions of buyers around the world — easier, faster, safer. Find out more about our solutions below.We make it easier for you to get paid – online, on mobile or by email, however you do business. Sell and get paid on social platforms. 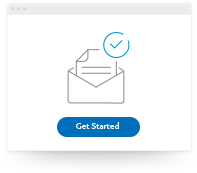 Get paid via email requests or online invoices. Choose a payment solution and start getting paid. 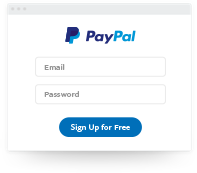 "We love that PayPal makes our business global"
When you sell with PayPal there are no surprises. We charge a fee based on how much you sell. You can apply for our discounted merchant rates when you meet a qualifying calendar monthly sales volume and keep your account in good standing order. Additional currency conversion fee may apply for overseas payments.